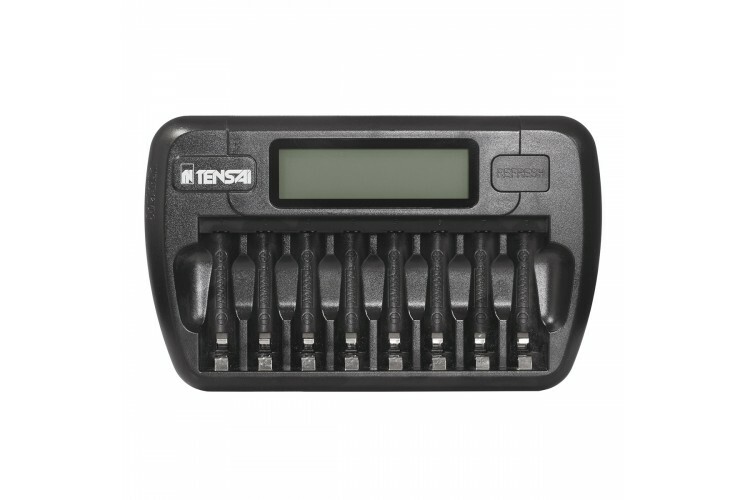 Tensai TI-800L Mk II is a smart charging station for NiMH and NiCd batteries size АА/AAA equipped with 8 charging slots. A special microprocessor controls the charging process using Negative Delta V (-dV) monitoring. Separate timer protection circuit guarantees that batteries will not be over-charged. 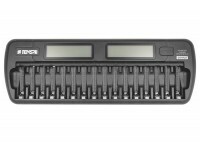 The charging slots of the TI-800L Mk II are independent of one another. 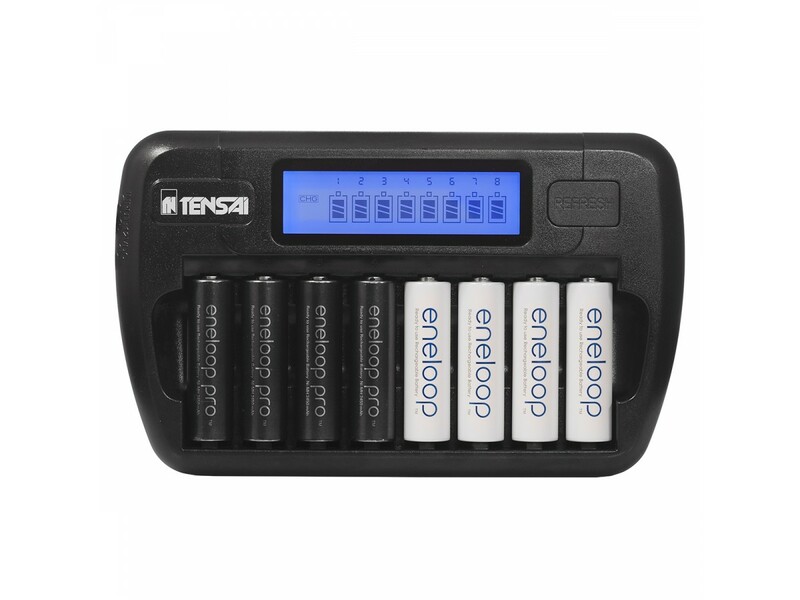 You can safely add and remove batteries or mix batteries of different size, capacity and charge state. 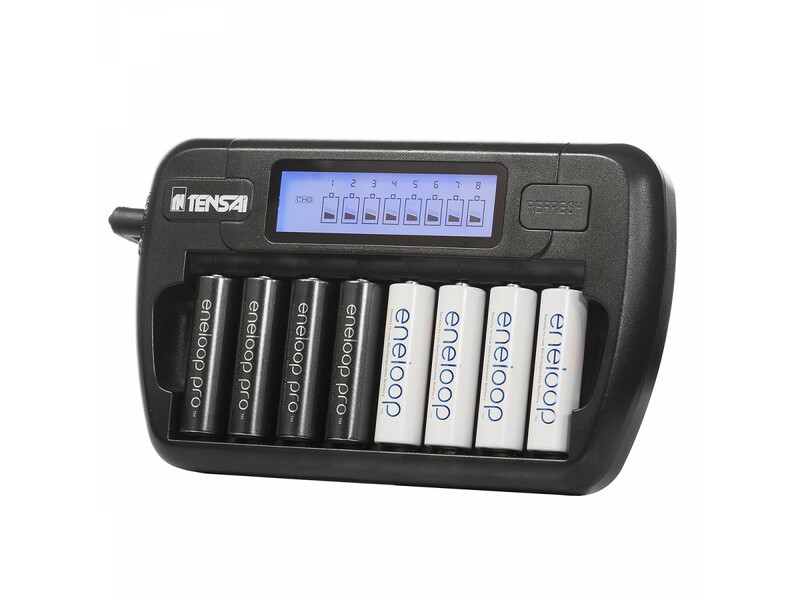 A unique feature at this price level is the Refresh capability which allows to discharge the batteries to a safe level before topping them off again. 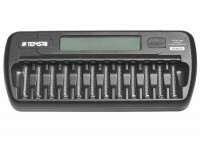 The TI-800L Mk II charges AA batteries with 500 mA (AAA batteries are charged with 250 mA). This means that you can have 8 Eneloop AA 2000 mAh fully charged in about 4.5 hours. 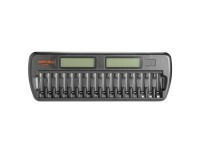 The current state of each slot is displayed on an animated 4-segment LCD display with blue LED backlight. 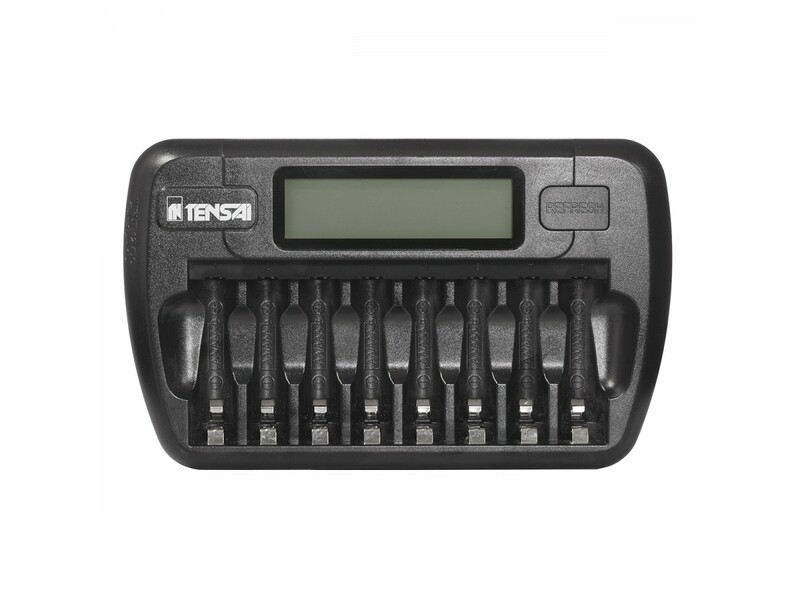 The Tensai TI-800L Mark II is equipped with a universal power supply adapter (100-240VAC, 50/60 Hz) as well as a 12VDC adapter for a car lighter socket so that you can charge the batteries while on the road. The batteries shown on some of the photos are used for illustration purpose only and are not included in the price of the product.